INLEAD - Job Oriented Program | 100% Campus Placements | MBA and PGDM Programs: Happy Feet – Go on...Love your Walk! I happened to be in Cyber Hub on a balmy Saturday afternoon, sipping a hot cuppa Starbucks’ cappuccino. One of those lovely moments when you wish time would stand still, when you could just look at the people walking by as if they are doing the catwalk performance for you; when you feel you have the right to observe all that’s around you and pass your irrefutable judgements. It was that Saturday when I couldn’t help but notice the many types of walks amongst the people walking by. By many types I am trying to imply that each individual has his or her own way of walking. Some walk with a swing, a spring in their steps. It seems like they are on a mission to save the world; like they need to be somewhere soon, and that soon has to be quite immediate; if you know what I mean! I love this category of people. Then there are those who have all the time in the world, they have a lazy walk, they walk like they have been walking all their life; slouched shoulders, hunch in their back and a glazed look in their eyes. Those are of course the type of walkers who don’t walk, they stroll. They believe that the world is on a display for them and that they are the designated nymphs from heaven above, who need to look around and nod their acceptance or smirk their condescension. This category looks like they are bored with their lives and are using the walk as fillers in life, like we use uhs and ums as fillers when we speak. You need to actually ask them to excuse you while you walk. I believe when you walk, it speaks volumes about you, about the aura that you carry with you and the personality that is uniquely yours. A walk defines you and sums up the energy that you possess. 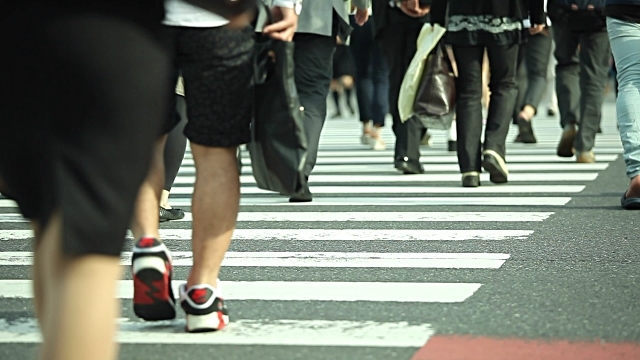 A drag–your-feet walk shows your nonchalant attitude and a peculiar disinterest in the person who’s walking with you. A swift walk shows the zest that you possess for living and the passion that you exude in all that you do. Dainty steps are elegant but time consuming. Thumping steps look sloppy and are of course noisy. A jogger, a sportsperson has a walk that’s very different from someone who avoids exercising. It’s all about the energy, about the zeal to live and the happiness that envelopes you when you do anything. 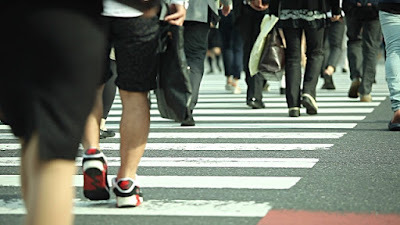 If you check the world wide web, it will tell you there are 25 ways of walking and that the word “walk” originates from an old English word “wealcan”, which means to roll. But that your walk defines you is indisputable, so straighten up and walk like you can take the world in your stride. Remember even “Happy Feet” won the Academy Award for Best Animated Feature.